The Grisal unisex scarf. Photos courtesy of Paula & Chlo. AT the end of the day, Paula Slof is a hoarder (or collector of things) with a good idea. A really good idea. Rather than store up all of her treasures in a space that is too small to safely accommodate them, she has decided to share the wealth (for a price, of course). At Paula & Chlo, PS offers a place where those in the hunt for various trinkets and whatnots can shop to their heart’s content. A candle that has the good scents of rhubarb, passion fruit and white fleshed peach over a heart of white jasmine petals. Brace yourself with an 18K gold cuff from Fred Lynch in the early 1980s.The beauty of Paula & Chlo, which bears the names of PA and her beloved Blue Merle Australian Shepherd, is that PS has done the vetting. 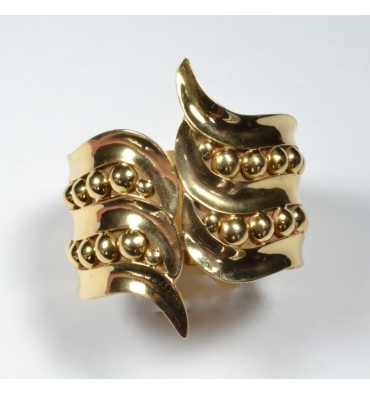 The result is an interesting mix of designer handbags, shoes, jewelry, cosmetics and miscellaneous items. It is much like a certain Web site that offers carefully curated content. No need for a body to go ripping and running around the Information Highway and the local byway in search of that Nanette Lepore Top Handle Clutch In Black Leather. 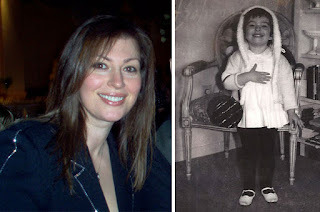 Paula Slof now and then. 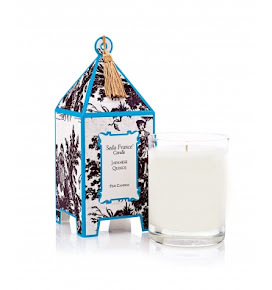 Visitors to Paula & Chlo can take pleasure in plucking the Tokyo Milk Dark Arsenic Trio and/or Seda France Japanese Quince Classic Toile Pagoda Box Candle. Bare-necked? 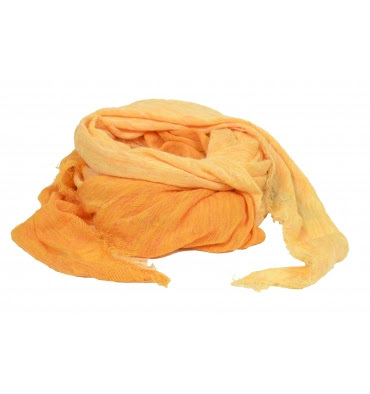 Click on the Grisal tab and there is the Grisal Arena Duo Lemon & Saffron Ramie Scarf. Beauty, thriftiness and versatility. The bag can be worn as a clutch, shoulder bag or a cross-body bag. Russian Enameled Frog Princess Fabergé Egg Pendant under the Jewelry tab. Raid the Paula’s Closet tab and capture the 18 K Gold Hand-Tooled Cuff Bracelet and/or Carved Topaz Mayan Warrior Ring w/Diamond and Emeralds. 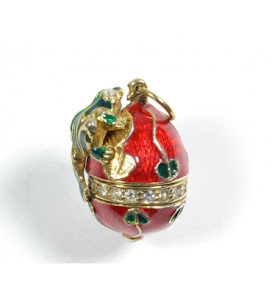 The next best thing to an actual Faberge egg. 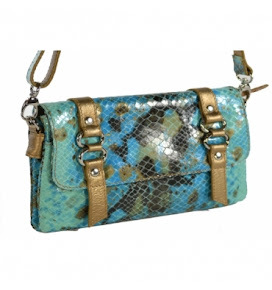 Those on a serious money diet can skip all others and make a beeline for the Sale tab where the Chez by Cheryl Lizard Print in Turquoise Iguana Embossed Italian Leather handbag awaits. Visit http://www.paulaandchlo.com to learn more about Paula & Chlo. GEORGE Kaufman (Kaufman Organization). Kay Krill (ANN Inc.). Stefano Tonchi (W magazine). Not exactly household names in the fashion business but they do important work in the sector. At least in the estimation of FIT, Fashion Institute of Technology. So strong is the school’s regard for their contributions that it is honoring them at the Fashion Institute of Technology (FIT) Gala 2013 on 10 June (Monday) at Cipriani 42nd Wall Street. “Each brings a wealth of experience, expertise, and creativity to their respective fields,” FIT President Joyce F. Brown said of the three who will be presented by some recognizable names, including Tony Bennett. In being singled out by the FIT for its special honor, GK. KK and ST join the late Bill Blass, Ralph Lauren, William P. Lauder, Liz Smith and Vera Wang. The FIT annual gala benefits the FIT Educational Development Fund, which provides scholarships and other tools that potentially enable students to become a Calvin Klein, Chloe Dao, Carolina Herrera, Michael Kors, Nanette Lepore or Ralph Rucci. All attended FIT. Visit http://www.fitnyc.edu/14212.asp to learn more about the Fashion Institute of Technology (FIT) Gala 2013, including ticket information.